Lutheran Church of the Redeemer, Atonement, Emmaus and Our Savior’s will host Racine ELCA Neighborhood Camps this summer. Each of the camps will run Monday through Thursday from July 1 to August 1 (except for July 4). Overall Neighborhood Camp Administrator Liliana Moncada and the site coordinators have been interviewing summer intern applicants, setting up schedules, and readying their respective buildings for the arrival of dozens of first through fifth graders. For the second year, most of the sites will also offer “Serving and Learning Together” (SALT) for middle school youth simultaneously with the Neighborhood Camp program. 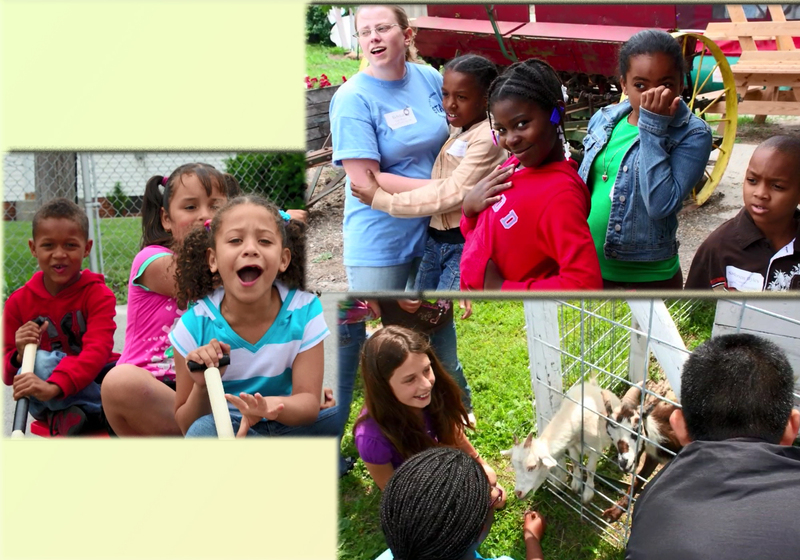 Redeemer has set up a web site for their Neighborhood Camp. Visitors to the site can see what the theme and field trip of the week will be, what sort of donations would be helpful, and download the camp registry forms. A contact page allows visitors to send messages to site coordinators Rebekah Hetchler and Rebekah Barbian; and once the camp begins, the staff will post photos on the site. Atonement serves West Racine again this year. Site coordinator Diane Thygeson has been posting on Atonement’s Facebook page. Like the other sites, Atonement will have a light breakfast, healthy lunch and snacks for campers each day. Emmaus, near Wadewitz Elementary, has set up a link to download registration forms on the congregation’s weblog. Photos will be posted on the congregation’s Flickr site. Volunteers will expand Our Savior’s usual office hours to cover the time when camp is in session. Our Savior’s continues valued service to its Uptown and near south side neighborhood. The camp has its own Facebook page.